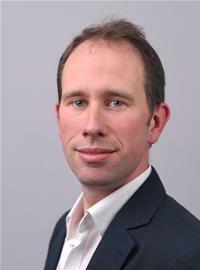 Councillor Matthew Barber is the District Councillor for the Hanneys ward. Councillor Barber has been a member of Vale of White Horse District Council since 2003 and was Leader of the Council from 2011 to May 2018. He is now a member of the Scrutiny Committee. Councillor Barber is married with two daughters. He lives in the village of West Hanney, and has lived in Oxfordshire most of his life. He grew up in Faringdon and was first elected to for the Faringdon & The Coxwells ward. He has also been a member of Faringdon Town Council. Before becoming Leader of the Council in 2011, he was Leader of the Opposition from 2009 and chaired the Vale’s Scrutiny Committee.